EA Sports has continued to release FIFA games every year in and around September. With July almost ending, more of more details of FIFA 15 are being released by the Developers. EA has released a Gameplay Trailed showing Player & Fan Emotions. 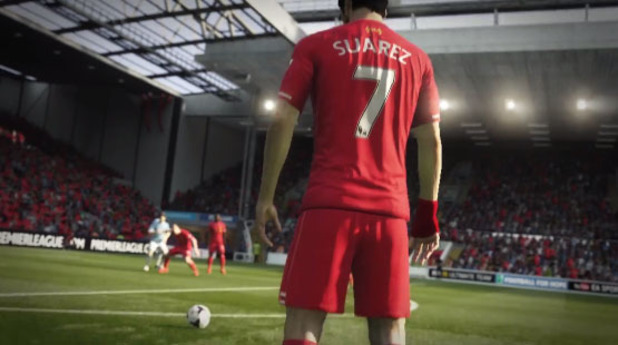 The trailer shows how FIFA 15 is focused on highlighting emotions in the beautiful Game. Football is an high intensity sport with emotions running high as the game gets exciting. From Players reacting to pressure and situations to fans and their specific style of support, FIFA 15 captures it all. As players have their own unique styles, so do fans. Environment in each stadium will be different from the other. The supporters at Anfield will sound different from the ones at Westfalenstadion.